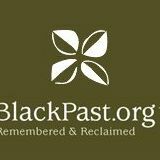 BlackPast.org, an online reference center makes available a wealth of materials on African American history in one central location on the Internet. These materials include an online encyclopedia of nearly 3,000 entries, the complete transcript of nearly 300 speeches by African Americans, other people of African ancestry, and those concerned about race, given between 1789 and 2012, over 140 full text primary documents, bibliographies, timelines and six gateway pages with links to digital archive collections, African and African American museums and research centers, genealogical research websites, and more than 200 other website resources on African American and global African history. Additionally, 100 major African American museums and research centers and over 400 other website resources on black history are also linked to the website, as are nine bibliographies listing more than 5,000 major books categorized by author, title, subject, and date of publication. It also features a Perspectives Online Magazine which features commentary of important but little known events in black history often written by the individuals who participated in or witnessed them. To date more than 100 articles have appeared. The compilation and concentration of these diverse resources allows BlackPast.org to serve as the "Google" of African American history. Identical twins Kirstie and Kristie Bronner share practically everything: hobbies, favorite colors, favorite foods, and clothes. But now they can share the title of valedictorian. 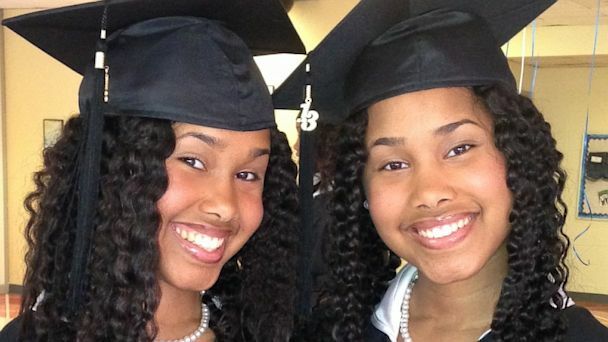 Kirstie and Kristie, both 22, from Atlanta, Ga., will graduate May 19 as the first co-valedictorians who are also identical twins at Spelman College, in Atlanta. “I don’t think we even thought about the possibility of it,” Kristie told ABCNews.com. The two have the same major—music—and both have perfect 4.0 GPAs. The sisters managed to keep up their grades while juggling Spelman College’s glee club and volunteering at their father’s church, Word of Faith Family Worship Cathedral. “We prayed harder than everybody else and worked harder,” Kirstie said. For the twins, their achievement meant having to sacrifice going out on the weekends occasionally. “Our friends kind of just stopped asking,” Kristie said. In fact, their personalities are so similar that the two said that they’ve had many occurrences where they’ve written papers or taken tests and had the same thesis points or wrong answers. One way the twins eliminate getting compared is by dressing alike. “You can’t say one twin is the more stylish twin if we have on the same thing,” Kirstie said. After graduating, Kirstie and Kristie plan on continuing on the same path as youth counselors, youth event coordinators, and directors of music at the Word of Faith Family Worship Cathedral. Achieving the title of valedictorian wasn’t enough for the girls. They also plan on writing a book with scheduling tips and releasing a gospel album. “We don’t think we achieved it based upon genius, but based upon strategy,” Kirstie said. Our platform is a new tool to generate financial resources to fund ideas and to address systemic social problems facing African-Americans on the local, national, and international level. Clearly, a platform that is operated by an honest broker will facilitate trust. But our platform will also lower transaction costs associated with raising capital. We will be the meeting place where those with good ideas can expose themselves to thousands/millions of potential investors at almost no monetary cost. Also, investors will have the opportunity to contribute to projects that they would have never known about without visiting our website. Finally, the affinity and commonality amongst the online community on our platform will lead to substantial activity and transactions on our platform as opposed to platforms that are not targeted towards a specific community. Our crowdfunding platform specifically dedicated to the African-American community addresses the lack of African-Americans that are participating in the crowdfunding market because we can market directly to the community. Furthermore, we can take advantage of established networks/groups to build our online minority investing community. The idea is for our online community to be as reflective of the “on-ground” African-American community as possible. Crowdfunding is beginning to move from a marketplace dominated by “one size fits all” style platforms (indiegogo.com/wefunder.com) to more dedicated, topic-orieted/industry focused platforms. The idea is that by targeting the audience, the marketplace becomes more efficient because of group affinity. Essentially, crowdfunding works partially because it allows one to leverage social networking to get ideas funded through one’s existing relationships, one’s extended network, and the extended network of those one is connected to. Therefore, the more closely one is tied to the network of someone that is seeking funding, the more likely one is to give. Our platform will be aligned with a network of people that already have a shared group identity, but it will additionally be able to tie into existing groups, organizations, and networks that already exist in the African-American community (both on the ground and online). This is what we mean when we assert that targeting can lead to increased activity and efficiency on a crowdfunding platform. Currently, there is a crowdfunding platform that is targeted to focus on ideas started by Jewish people or designed to advance Jewish interests. However, there is no platform for African-Americans. By focusing on a particular demographic group we will benefit from the efficiency that targeting allows for. Our platform/project can be used as a tool to increase education in the community on the benefits of investing, which addresses the over consumption of consumer goods and underuse of investing vehicles within the African-American community. To reach many of these goals, our group will benefit from partnerships with key organizations in the minority business landscape such as Black Enterprise magazine and the National Black MBA Association. Finally, we address the unmet needs related to the changing dynamics of the regulation of the crowdfunding industry by designing an internet funding portal that can take advantage of the JOBS Act reforms.